There are many homes in Bonsall that have security gates. Most of these homeowners have installed these, not for their looks, but in an effort to keep their property and their families safe. 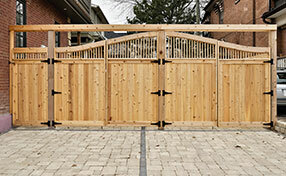 If you are considering a new gate installation, you may have questions about safety. The doors on these things can be quite heavy and, should they close on someone or something, they could do some damage. 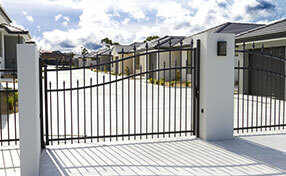 Here is why you should feel safe with a gate system. The big reason you should feel comfortable is the fact that you can keep your family safe. If you have young children and pets, you do not want them wandering off out into a busy street. 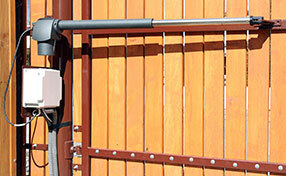 On that same note, a heavy steel gate will keep unwanted persons and stray animals from entering onto your property. Safety and security are the main reasons that you have one of these installed. Most security gates will have some sort of safety feature, or features, built into the gate remote system. Let’s say that you are returning home in your vehicle. You pull up to the gate and enter your code into the keypad entry. The doors swing open; you pass through, and continue onto your property. The doors will close after you pass through, but, let’s say one of your small children is running out to greet you. You don’t see your child, but the swinging gate safety sensors pick up the “obstruction” and do not close. The process reverses and the doors open, thus keeping your child safe. One of the choices you will have to make is what type of door opening system you want to have. Gate Repair Bonsall would review all of the options with you to help you select what is best for your situation. The most common types are the swinging and sliding models. Sliding doors will open and close in a straight line. A swinging gate has some dead space that cannot be picked up by a safety device. This will need to be factored into your decision.